So, I got interviewed: Of Podcasts and Podpeople. PEOPLE! Anthology editor Tony Healey has given the word, and the word is TODAY!!! Speculative fiction anthology EDGE OF OBLIVION is live at Amazon, which means you can buy it! And read it! And review it! So go do that. NOW. Or I’ll send my Black-Ops-ian team of evil elves to tattoo “I’m a nerd” on your forehead. Anyway. If you’ve been paying attention — which I know you have, because that’s just the sort of dear, attentive lovelies you are — you know that what little writing time I’ve had lately, I’ve devoted mostly to writing and posting short stories. This means that there’s been a dearth of non-story posts around here. Which isn’t necessarily a bad thing. Unless you guys don’t WANT free short stories to read. Which would be REALLY WEIRD and also somewhat DISASTROUS in blog-traffic terms. But then, since I still haven’t been able to get Google Analytics to work with my blog, I have no idea what sort of traffic I’m getting or not getting, so that point is pretty much moo*. ANYWAY. 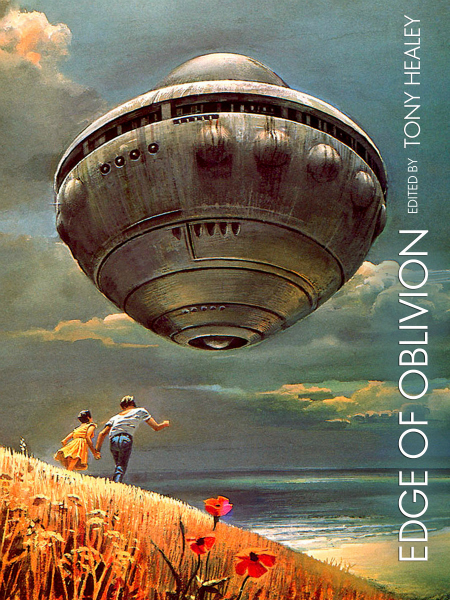 One of the things that’s been going on outside of short-story-penmonkeying is that I’ve been getting ready for the upcoming publication of my short story “The Mercy and the Schadenfreude of the Soulless” in Tony Healey’s anthology EDGE OF OBLIVION (EoO). 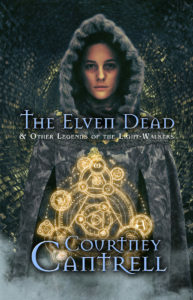 See the pretty, pretty cover art?! “The Mercy and the Schadenfreude of the Soulless” is, as I’ve mentioned before, a Grace & Jack story. If you follow that link, you’ll find a plethora of info on those two crazy lovebirds. But there’s more info coming up! One of my fellow EoO authors, David Hulegaard, is doing a series of podcast interviews with the rest of us. David asked me to come on the show, and in spite of my nerves regarding public speaking, I said yes. Of course, there was nothing for me to worry about. David put me completely at ease with his excellent writerly questions and his engaging interview style. We had a blast, and I’m hopeful that this won’t be my last Hulegaard Books Podcast. It was that much fun. : ) He sent me a preview — or is it a prelisten? — and I couldn’t be more pleased with how it turned out. David made me sound like I know exactly what I’m doing. BANGERANG. So far, besides me, David has interviewed anthology editor Tony Healey and authors Brendan Swogger and William Vitka. Those interviews are excellent, and I highly recommend you go check them out here (Tony) and here (Brendan and Vitka). The anthology itself, EDGE OF OBLIVION, officially launches this coming Monday, February 3rd. (EGAD, it’s almost February. WHAT?!) I’ll be posting more then! In the meantime, get your appetites in gear for hearing me talk about: Grace & Jack, how one juggles motherhood and writing life, and how writing short stories is like foreplay. If you don’t hear from me sooner, have a great weekend! Did you go buy the anthology? EDGE OF OBLIVION in US Amazon store. EDGE OF OBLIVION in UK Amazon store.